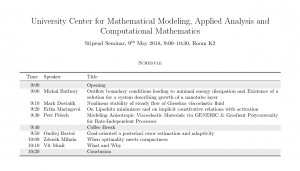 The seminar of the “University Center for Mathematical Modeling, Applied Analysis and Computational Mathematics”, that will take place next Wednesday (May 9, 2018) in K2 from 9:00 ’till 10:30. 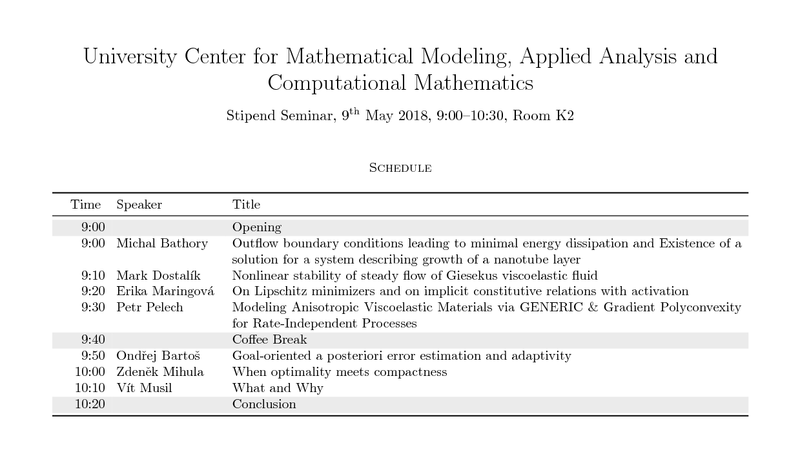 The seminar will consist of short presentations given by master and PhD students supported by the University Center for Mathematical Modeling. The schedule of the talks is given below.